What's Your Dream House Style? Each of us has our own personal dream house style. As the years go by and we move from first apartment to first house or starter house to dream house, we acquire people and children who alter our style and influence us. Fundamentally, though, style still remains a unique and personal thing. The most successful decorating schemes are those which please our unique senses and suit our current lifestyle for that perfect home. We're incredibly fortunate to live in a time in history where we have access to so many influences from all over the world and cultural spectrum through the internet. We're able to decorate in any style we wish. Antiques from Britain and France, textiles from India, Africa and China, painted furniture from Scandinavia and the United States. Almost anything you could want is available through Amazon and there are millions of customizable pieces from places like Etsy. You will find various ideas and combinations of styles within these three strands. When you've found a look you love, use the ideas as foundations for your own scheme in your dream house. Having a basic idea of your likes and dislikes will help you understand your dream house style. Here are some questions to help you get started. Do you like informal or formal layouts? What kind of atmosphere do you like your rooms to have? What kind of furniture instantly appeals to you? Traditional style is warm and cosy. To create a room decorated in the traditional style it's important that the scheme looks as though it has evolved over time. Choose timeless items and shades for the traditional look. Use a base of neutrals with pops of color. You can decorate according to a historical period, or in keeping with the age of your house if you live in a period property. If you own a modern home, it's still possible to create a successful traditional style by collecting an arrangement of furniture, accessories and decorations selected for their timeless, traditional qualities, their charm, and their weathered yet easy appeal. Well-loved pieces with vintage charm are preferable to anything that looks too new in the traditional style. Choose natural materials that take on more character as they age. Look for accents of polished wood or stone. Natural flooring also helps to create a style that looks as if it has developed over time. Choose fabrics for curtains, cushions, bed linens and upholstery from the linen, cotton prints, tweed and wool families. When it comes to choosing furniture, look for antique versions of modern furniture that have been designed to resemble designs from the past. Comfort is the key to traditional country. Think of a country cottage in a quite meadow with mountains in the background or a Farmhouse in the country. Materials should be natural--stone, wool, wood, cotton and linen. Begin the transformation to traditional country style with exposed wood and warm paints or wallpaper. Add fabrics in soft, light colors. Choose colors that you would find commonly in nature. Fresh and light pastels or shades such as apple red, tree green, primrose yellow, and sky blue are some favorites. Furniture also plays a key role in this style. You can choose cottage-style antiques or new pieces in traditional styles but the key is to keep it low key. Nothing too grand or shiny. For tables or storage pieces, look for plain timber or pine, white or cream painted wood, and metal pieces. In keeping with the natural theme, all the pieces should look like they can be used with ease every day as part of an active household. 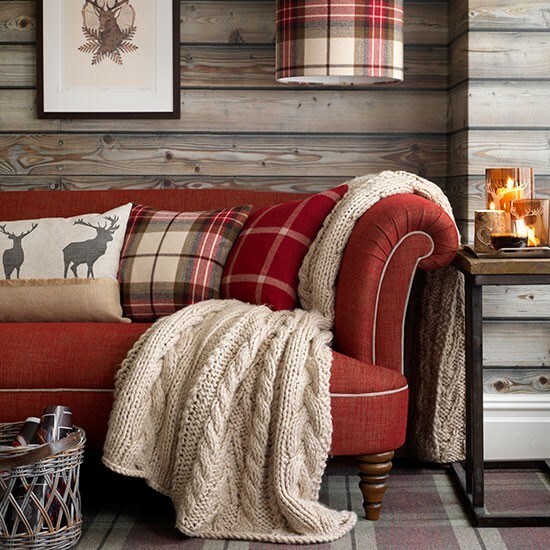 Seating and throws should exude warmth and comfort. The fresh look and clear colors of Scandinavian style make it a popular choice in today's homes. These colors ensures rooms are light, airy, and fresh. Furniture is comfortable, cozy and appealing. Think of a cozy living room where you might enjoy a fire on a Scandinavian winter night. White was traditionally chosen by Scandinavians to maximize the amount of natural light in their northern homes due to limited sunlight. The color choices for this style are based around a limited color, which makes choosing colors reasonably straight forward for this style. Begin with a background of white or off-white, then add color with cool blue, cherry red or deep forest green. For an even more homey look you could add an addition accent with grey. Floor plans should be pale in color and also helps to reflect light around the room. A pale timber wood floor such as birch or beech wood with a light colored rug for warmth is optimal. Simple pieces of modern white-painted customize wooden furniture should be used. Fabrics and soft furnishings add a restrained, but elegant feel. Capture the essence of seaside living with this style. Cool blues mixed with vintage furnishings and wood floorboards create a laid-back look that brings a vacation feel to everyday homes, even if you live miles from the beach. 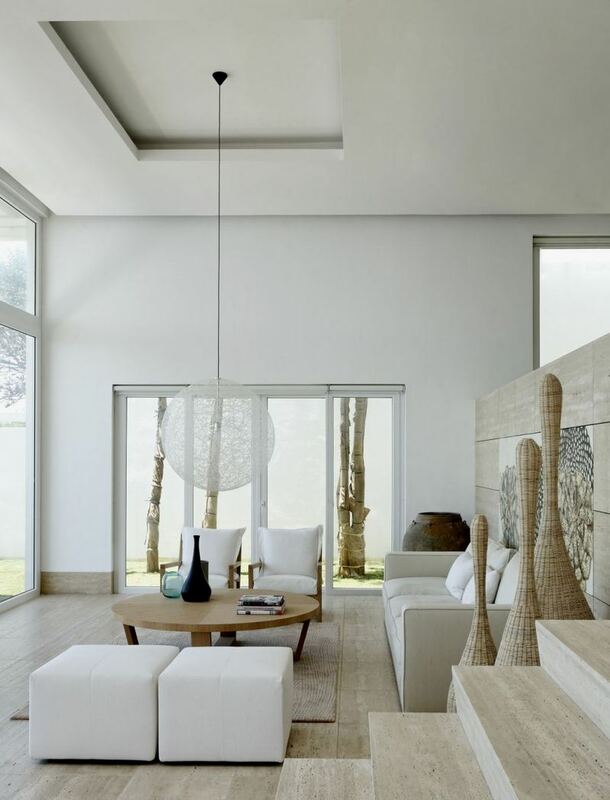 If your dream house style is fresh, light and casual look then traditional beach house is the style for you. Rooms have a welcoming, relaxed appeal and offer nostalgia of much-enjoyed vacations by the sea. The look is clean and practical; on the floor, wooden boards are a natural choice and are easy to maintain. For windows, choose sheer curtains in natural fabrics such as cotton and linen frame to allow sunshine to flood in whatever the time of year. Accent colors can be either bold or lighter, depending on the look and the atmosphere you'd like to create, but whichever you choose white or linen are usually the main background colors. Mix white with bright blue and strong scarlet for a look that matches that of traditional Greek fishing villages. 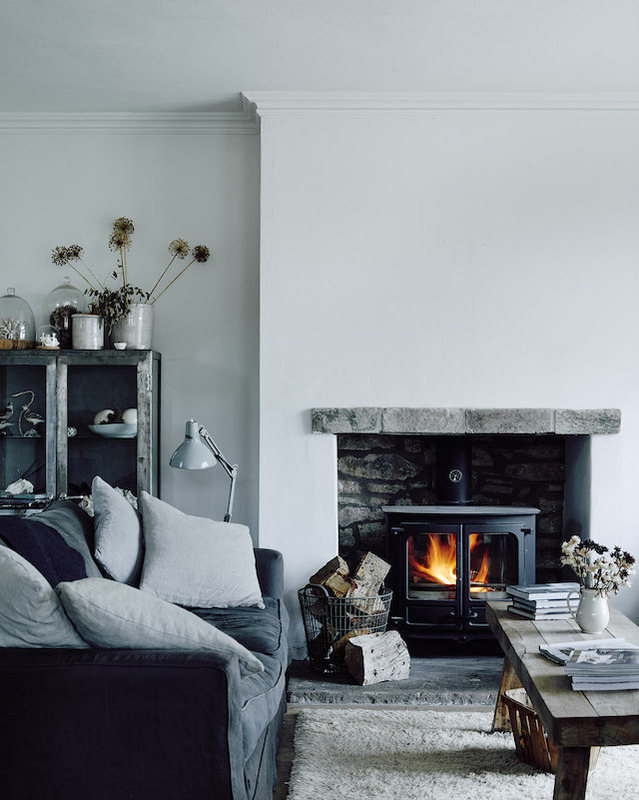 Or choose linen mixed with soft greys, warm creams and pale off whites for a beach-house interpretation using today's popular neutral palettes. Classic styles are elegant and designed to last. A sense of control and order is evident when you enter the room, and it's clear that the design and layout have been thoroughly planned out. One of the keys of classic style is symmetry. The more formal nature of the classic style calls for symmetrical arrangements. Think of a pair of sofas set opposite one another on either side of a fireplace, a dining table with a set of matching chairs, or a pair of matching planters on either side of the front door. Balancing one item with a matching other evokes an aura of calmness and order for even the most simple arrangements. It's also the easiest style for a novice ​to achieve. Furniture and accents should be high quality and chosen with care, so that they work well with each other and the proportions of the room. ​Quality hardwoods offer glamour and elegance to complete a room's look. Consider choosing exotic hardwood floors or beautifully crafted antique walnut or mahogany. Avoid anything that looks too rough and ready, quality and sleekness are key to pulling off the classic style. Luxurious materials help create rooms with a sense of elegance and opulence. They not only look wonderful but feel good to touch, so they appeal to our senses and encourage us to relax and feel special. Glamour demands that all the materials you choose have an air of luxury that's pleasing to both the eye and touch. Choose materials such as silk and satins which are smooth to the touch and contrast with carpet and rugs are thick and soft. Classic Glamour utilizes soft colors with natural palettes of pink and cream colors. Accessorizing is a necessity for the classic glamour style. Adding silks and satins to a side table or piling decorative pillows on a bed add to the look of luxury. Hang elegantly framed mirrors and accessories throughout the home. Glass looks luxurious and the light reflection can make your shiny accessories sparkle even more. Classic contemporary is a mix of traditional and contemporary elements that creates a look that's a great balance between what's popular and timeless. This is an eye-catching, welcoming look that can be put together with modern pieces in a classic layout. The first step to achieving the classic contemporary style is to avoid anything that is overly fashionable right now. When it quickly falls out of fashion, you will no longer have a classic contemporary look. Find well-made pieces of furniture with simple shapes and clean lines. Sofas and armchairs should have fitted rather than loose material so their lines can be accentuated. Ensure there is plenty of space in the room, arranging furniture in a symmetrical or traditional layout without cramming in unnecessary pieces. Keep a simple color palette like monochrome black & white and clean pattern choices. Squares, circles or checks on luxurious fabrics show restrained elegance. Classic comfort is a comfortable country style, with wooden furniture and traditional upholstery. The furniture should be of good quality, comfortable and new rather than antique. Classic comfort has its roots in Traditional Country but to get the look incorporate new furniture made from quality wood while decorating in solid colors. Sky blue, yellow and white are colors that will work with this style but avoid shades that are too light or the room will look washed out. The furniture should be well made, soft and fluffy. It should have an inviting feel for friends and family to want to sit and chat. Once again, whites, yellow and a lighter grey furniture work well with this style. Modern style is up to date, taking the best of the decorating styles around today and pairing them down so they work at home. Modern interpretations of favorite looks ensure that interior design will keep evolving and challenging our design preconceptions. You don't have to fill your entire home with expensive and cutting-edge designs to achieve the modern style. Instead, start modern house plans by assembling a room that works for today's lifestyles, distilling traditional or classic styles to get a look that's modern yet easy to live with. Well-chosen furniture is given plenty of space and displays of ornaments or artwork are simple and striking. Storage is streamlined and organized and rooms may be aesthetically pleasing than functional. Some design elements may include smooth leather upholstery, glass tables, vaulted ceilings and shelving units in living area, and rubber floors in kitchens and bathrooms. Colors and tones are clean, bright and fresh. Scarlet, sky blue, grey, plain white and yellow give your rooms a contemporary clean feel. Guard against a sterile feel with solid accent pillows, pieces and fresh art work. Modern country is a paired down version of Traditional Country, as the furniture and furnishings are simpler and more up to date. This style is the practical choice for today's homes where space is often at a premium and rustic furniture is more difficult to find. The difficulty with pulling off this style is blending the basic country look with modern pieces. You do this by using wooden furniture or traditional patterns that are higher quality pieces with modern lines and tighter fitting fabric. Instead of rustic timber flooring go for engineered boards or laminate flooring that looks as good as the real thing yet is more practical, cost efficient, and modern. Wooden furniture is perfect for this style but steer away from antiques. Look for dining tables and kitchen surfaces made of a paler wood. Choose unfinished wood so the surfaces can be scrubbed down after use or go with a clear lacquered finish which lets the natural beauty of wood shine through. Modern ethnic is a variation of the pure ethnic look. 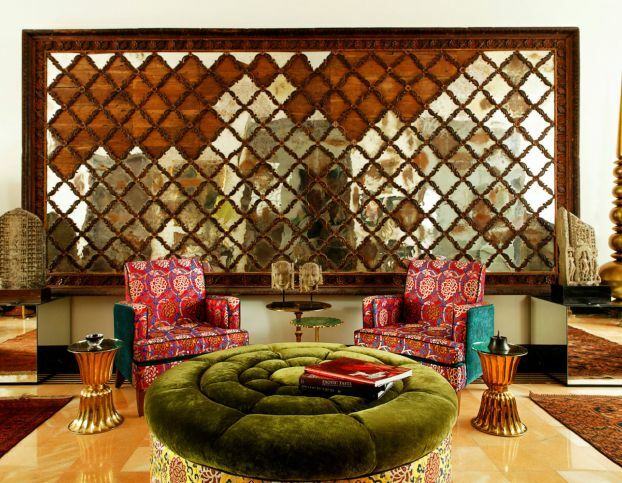 This style is inviting and relaxed but incorporates eclectic touches to add a sense of the exotic. To create this look at home you need to get the right balance between ethnic and contemporary. It's also important to take one region or country as the basis for your room's decorative scheme in order to prevent the finished room from looking muddled. A good starting point is to buy an ethnic piece of furniture that makes a statement, such as a large and ornately carved armoir and build the rest of the room around it. You can also achieve balance by using smaller pieces of furniture sourced locally. ​Then build up the look with a few well-chosen regional artifacts and decorative details. These details can include anything from cushions, wall-hangings, rugs and throws to ornaments, sculpture and art. Inspired by seascapes and coastal walks, this is a bright, light style, recalling the natural materials and airy shades of the seaside. Rooms feel fresh and modern and are inviting places regardless of the age of the house. 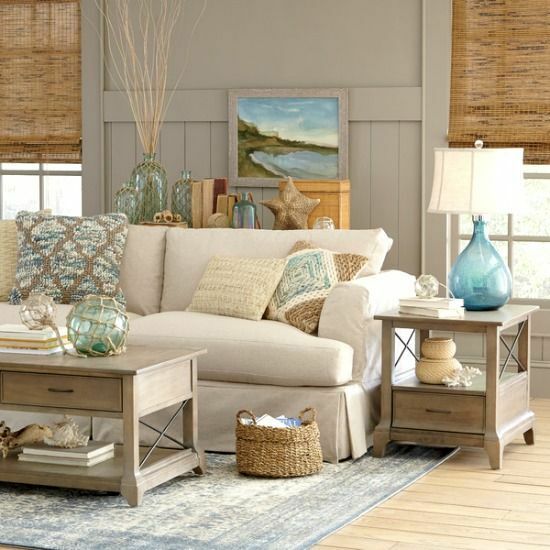 Modern coastal uses similar colors as Traditional Beach House; pale crisp blues, sandy neutrals or watery aqua. However, the traditional looks slightly rough and comfortable. You will need to clean it up with straight-lined furniture and blocks of color to pull off this style. Keep window treatments light and airy, avoid heavy drapes and instead choose pale cotton or linen floor-length curtains, which can move in the breeze and let the sunshine flood in. Patterns should be up-to-date, avoid florals and traditional motifs and, instead, opt for square and modern prints. For flooring, stick with a sandy-toned natural weave, plain wool carpets in off-whites or smooth wood, or wood-effect flooring made from vinyl or laminate. Furniture with simple, boxy shapes is ideal with fitted fabric covers to give sofas and armchairs a more modern silhouette.